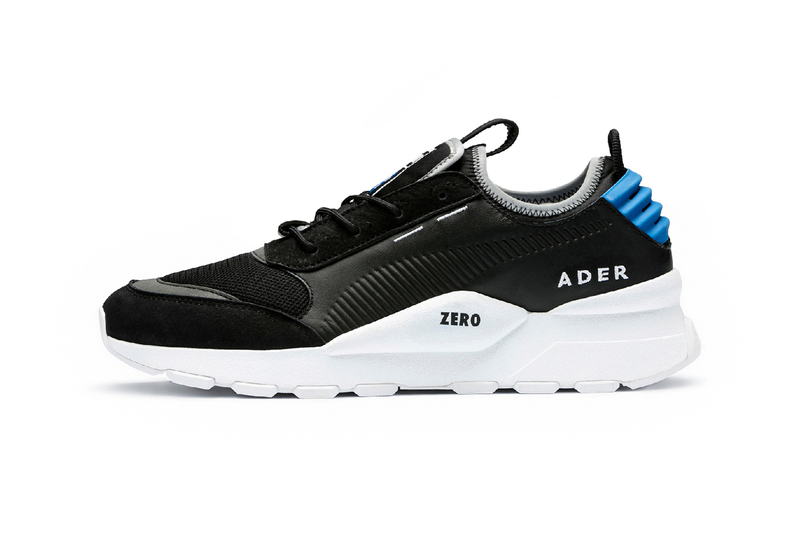 Emerging Korean label ADER error reunites with PUMA, having already teamed up for a brief clothing and sneaker capsule earlier this year. This time, the duo have prepared even more goods, including a variety of revamped PUMA classics, and wide array of wearables. Alongside an upgraded Court, platform Suede, and returning RS-100, the collection includes a reworked RS-0 runner in “PUMA Black,” complete with embroidered branding. A variety of covetable gear accompanies the footwear, including warm down coats with removable sleeve pockets and jackets with removable hoods, with matching pants for complete sets. Internal pockets and zippered closures add a level of technicality, while bright color blocked outers ensure that the goods are as visible as they are functional. Look for the goods to go live on PUMA’s website on November 24. A selection of items from the initial collaboration first appeared in ADER error’s Fall/Winter 2018 lookbook. Alongside visuals for the new song. He will also embark on a world tour in support of the album. Coach Quavo takes over the game. Sports gear with a dose of flames and skulls.